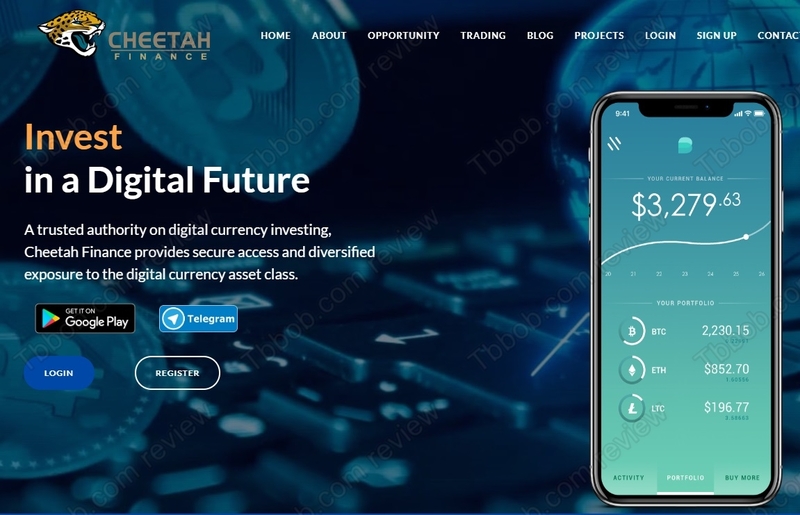 Cheetah Finance is supposed to be a company experienced in financial markets trading, it is focused on cryptocurrencies. 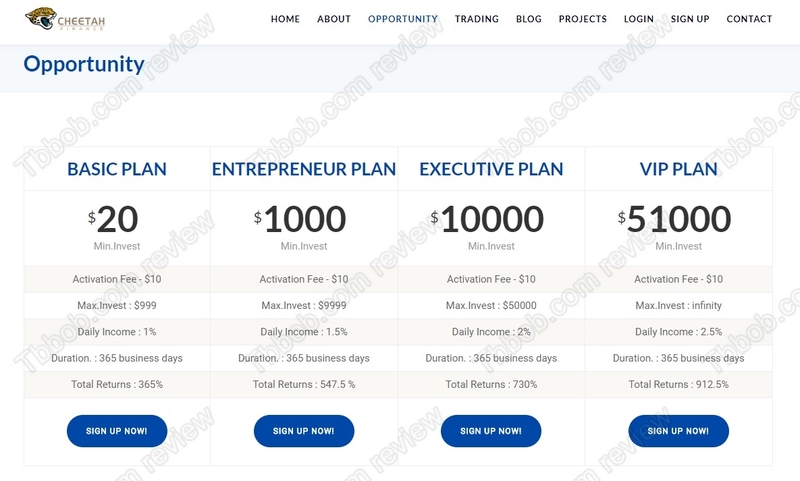 The platform offers several investment programs with monthly returns up to 50%. 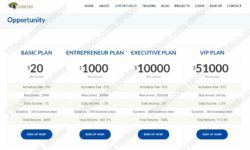 So, can you really make money with this program? We needed just a quick look at the Cheetah Finance offer to see that it is a scam. They guarantee returns, which is impossible in any financial trading. They promise up to 50% per month, which is way too high for any legitimate business. The best hedge funds in the world are happy when they make this kind of returns in one year. One month is pure fiction. Cheetah Finance tries to gain your trust by showing you a company registration from the UK. However, it is only a tax registration that is only one moth old. The company has no track record. What’s more important, Cheetah Finance is not licensed by the Financial Conduct Authority, therefore it is not authorized to provide investment services. In short, it is acting illegally. Cheetah Finance is built as a Ponzi scheme. It will collect money through withdrawals and use this money to maybe pay out some profits. As you can imagine, this can only work as long as more money is being deposited than withdrawn. Such an illegal financial game of this type on the internet usually last only for a few weeks before it collapses and all the money disappears. 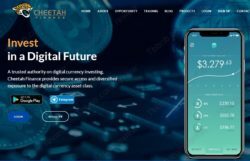 Cheetah Finance is a dirty scam that is playing an illegal game with money, stay away from it! If you are interested in making money in real crypto trading, try it first on a free demo with a regulated broker. You will see what you have to learn to be able to later trade with real money profitably.